Brands that are looking at creating awareness, engagement and buzz this holiday season, can target mobile audiences with UGC campaign on Social networks that are already popular with their target audience. Engagement tactics and contest design that is designed to target the buyer through the buyer journey, can target mobile audiences for different stages. 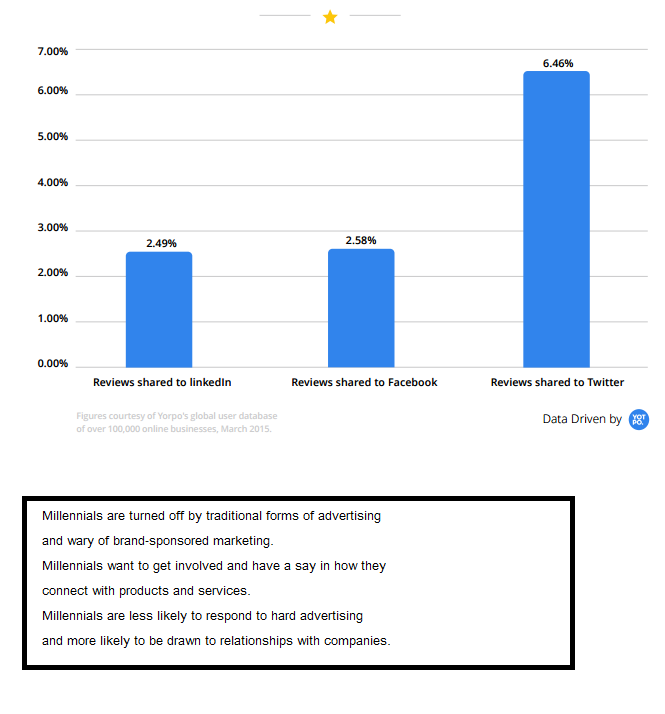 According to statistics shared by Statista and MarketingProfs.com, UGC can help brands target their audience better with Mobile Focused strategy. 55 percent of internet users in the U.S. redeem mobile coupons from social networks. Mobile coupon users will represent 83 percent of all digital coupon users by 2016. Over 70 percent of digital coupons were redeemed via mobile phone in 2014. 75 percent of all mobile shoppers have redeemed a coupon, most often from a social network. Nearly 50 percent of Twitter Users are shopping from their mobile devices. Nearly 60 percent of shoppers look for Digital Coupons. 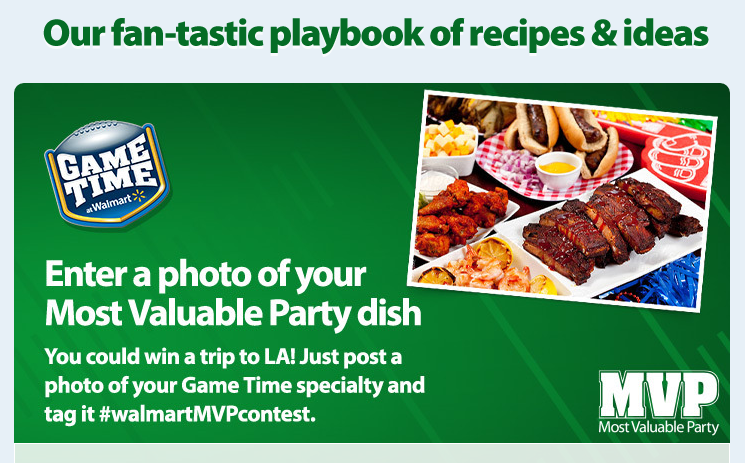 Walmart has targeted Mobile consumers with Game Day Party Dish Contest asking users to share their favorite Game day party dish. Walmart’s Game Time MVP Contest is targeted at Mobile Audiences requiring users to share their Most valuable party dish, to win a trip to YouTube LA. The contest runs in three phases, starting with Phase 1 winner announcement on October 26 2015, to final winner notification on January 5, 2016. 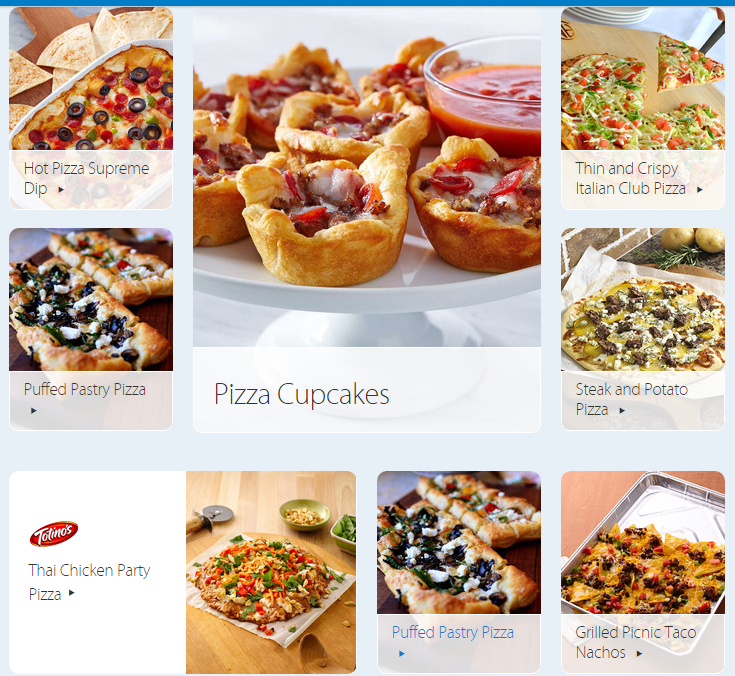 The contest design and prize are unique to inspire cooking enthusiasts to share their favorite recipe and dish that appear on Walmart’s Mobile site. The link shared in Facebook post has a customized mobile feed of some of the contest entries “Our Fan-tastic playbook of recipes and ideas”. The contest is promoted with an Influence led program with video posts for recipes and a YouTube video. Entering the contest is easy, “Post a description of your recipe and a photo of the result on Instagram or Twitter w/ the hashtag #WalmartMVPContest. The contest has been popular over the last few days with Twitter and YouTube as lead channels. 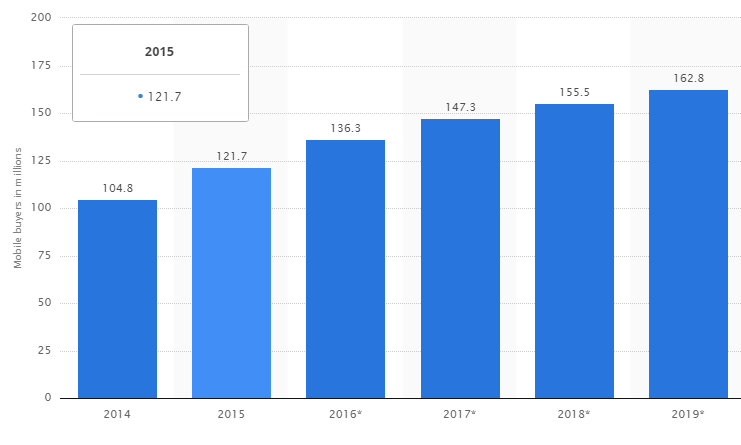 ‘*This statistic gives information on the number of mobile buyers in the United States from 2014 to 2019. In 2017, approximately 155.5 million users will have made at least one purchase via web browser or mobile app on their mobile device. Posted in Apps, Social Media.